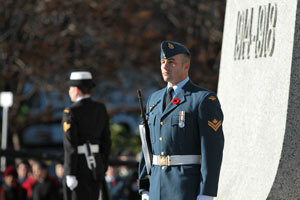 Observed on November 11th, Remembrance Day marks the end of World War I. This has taken place since the war ended in 1918. Many have a moment of silence for those who died in World War I. Others remember a lost family member and the effects of war on an entire global scale. As soon as the war ended the allied forces knew that there had to be a day when those who were brave enough to fight had to be honored. Around the world their was a debate on what day, but for Canada it rests on November 11th.